Traditional burial is a time-honored way to lay to rest a departed loved one. Within Sweetwater Memorial Park there are choices where you can select the perfect tranquil location for a final resting place. 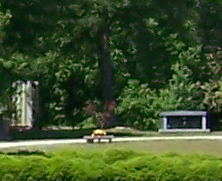 Sweetwater Memorial Park’s tree-lined property is situated in a peaceful, private locale in Hiram, Georgia, providing beauty, dignity and convenience of location to Douglas, Paulding and Cobb counties. Perpetual care, at no cost to the lot owner, ensures that all sites are maintained impeccably, providing a beautiful setting in which to visit your loved ones. An irrevocable trust fund ensures the everlasting preservation and maintenance of all cemetery grounds. Cemetery property is dedicated for that purpose only, ensuring that the land will never be redeveloped for any other use. 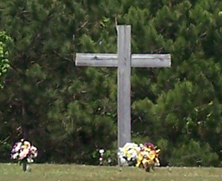 The cemetery’s various sections are designed to accommodate arrangements for both individuals and families. Mark your site with a memorial. 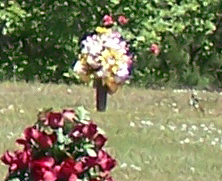 The different areas of the cemetery provide for a range of approved markers. Pre-arrange by selecting your lot or family plot ahead of time so that your chosen place will be reserved for you. Planning ahead also has the financial benefits of today’s prices for tomorrow’s need and the option of a no-interest payment plan.